Two deadly, plastic opponents face off. Their beeps and whirs are drowned out by the deafening cheer echoing in the elementary school auditorium. 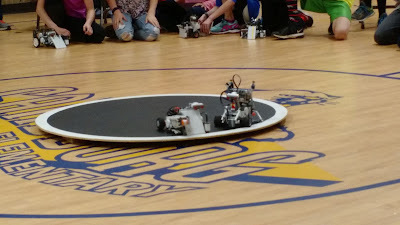 The culmination of many weeks of tinkering, teams from the Robot Club at my girl's elementary school faced off against teams from two other schools in a Lego Mindstorms Sumo death match (ok, they didn't call it a death match... but I sure will). 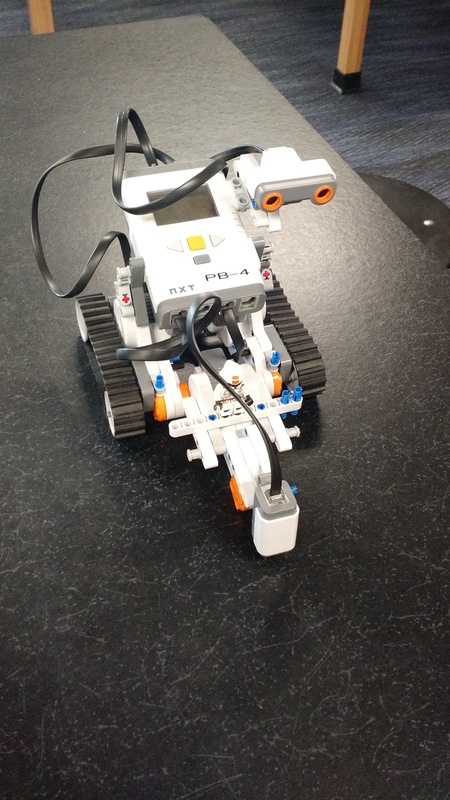 For several weeks I came in every week to help the kids design, build, and code their robots and it was incredibly fun and rewarding. Turns out 5th graders are really smart. 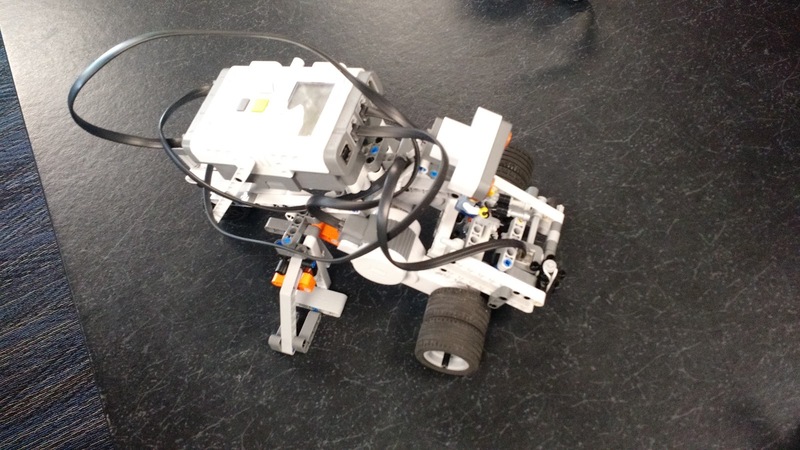 The kids had no trouble with the LabView-style graphical programming and had working robots quickly. There were a few physical design issues. Teachable moments in the area of physics were plentiful. Center of gravity. How caster wheels work. Traction, friction. Stuff like that. In the end our school fielded some very competitive robots! One team started a few weeks behind but was able to build a tracked robot (below) based on some instructions I dug up. They fought against time for weeks and finally, in true robot experimenter fashion, got their code working only days before the competition. I built one, also. And battled the kids. And lost more matches than I won! I guess I am not smarter than a 5th grader. But I definitely couldn't be more proud of these kids for sticking to it, never forgetting to have fun, and building some awesome sumo bots.